Publication bias is an issue that all health care professionals need to be aware of as they consume evidence to inform their practice. We think this reflection on transparency from one of our PEN LinkedIn Group Members summed up the issue well: “Research illustrating a negative result is just as important as studies illustrating a positive result especially when we apply our skills that enable us to critically evaluate the published article. It is not to highlight flaws of a study, but to allow us to determine how to interpret the results. We cannot make the best informed decisions if we are not truly informed.” Natasha Barber MEd, RD, RCC. Like Dr Goldacre, we would encourage you to raise awareness of this important issue with your friends and network. In this issue of PEN eNews 4(1), we have articles celebrating the art of dietetic communications. Closing the evidence-to-practice gap in dietetics outlines key knowledge transfer challenges for dietitians. Two problems with nutrition science – but I still love it! 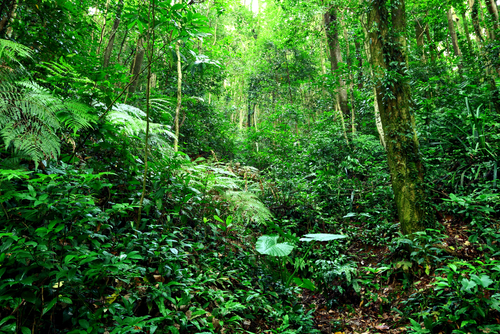 outlines challenges for dietitians in guiding the public through the nutrition science jungle. 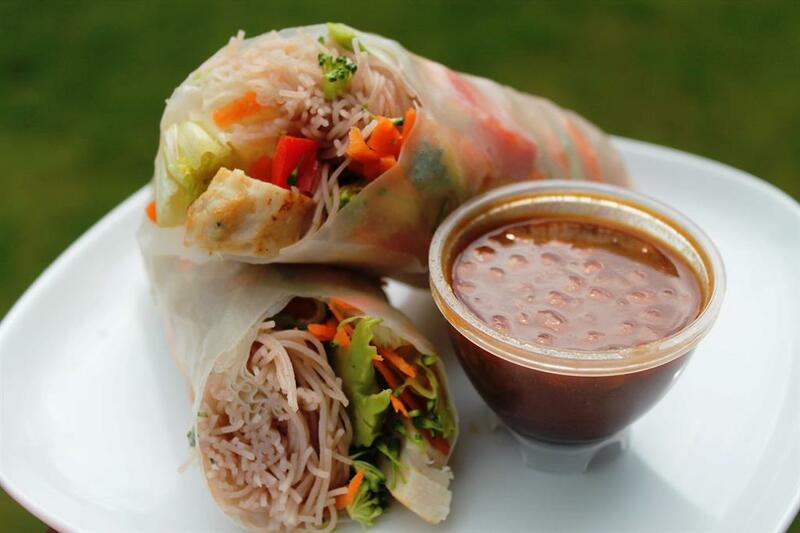 Savvy Tweeting Promotes Healthy Eating highlights the diverse communication channels used in promoting healthy eating. National Nutrition Month 2014 takes the cake! shares how a national nutrition month campaign translated nutritional science into bite-sized nutrition messages. Canadians gained confidence in the kitchen! shared how a dietitian took a national nutrition campaign to her local community. This and more in PEN eNews 4(1). Are there herbal supplements that can help prevent the common cold? What are the recommendations for the use of goat's milk in infant feeding? At what age should cow's milk (non-formula) and other dairy products be consumed as a complementary food in healthy term infants? What dietary supplements are necessary for healthy full-term breastfed infants? What are the indications for the use of follow-up formulas? What portion sizes are recommended for one- to two-year olds? How much fruit juice is appropriate to include in the diet of a toddler/preschooler? At what age is it appropriate to introduce lower fat milk to toddlers/preschoolers? Should the introduction of complementary foods in healthy term infants occur in a particular order? Should consumers reduce their exposure to growth hormones in foods? Are pregnant women more at risk for serious health outcomes when exposed to foodborne pathogens than non-pregnant women or men? If so, what steps should be taken to reduce the risk of foodborne illness? This is one of the most common questions we receive about the PEN website. However, it’s totally possible to fix this problem on your own in a matter of seconds. 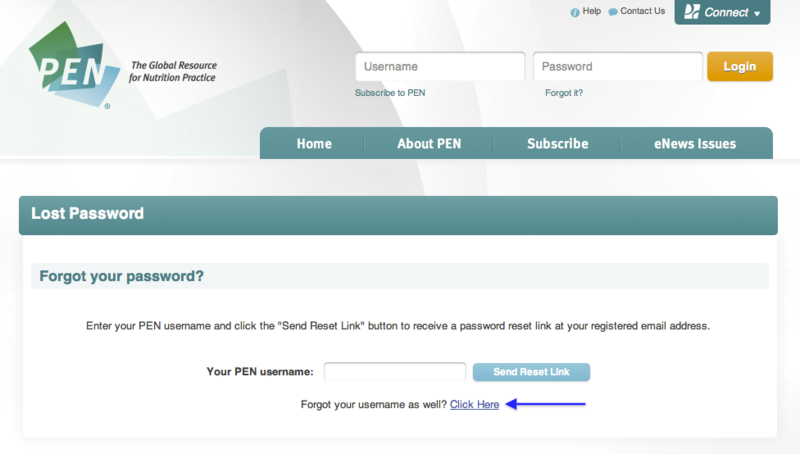 If you click on that link you will be taken to a screen where you can enter your PEN username. An automated email will be sent to you at the email address you have registered with PEN, with instructions on how to reset your password. There is a link at the bottom of the Forgot your Password screen that says “Forgot your username as well? Click here.” To get to this screen from the PEN login page, click on the link underneath the password field box that says “Forgot it?”. You will then be asked to provide the email address that you used to create your PEN account. Enter your email and a message will be sent to you providing you with your PEN username. It will take you to a screen that has a link that says “Forgot your username as well? Click here”. 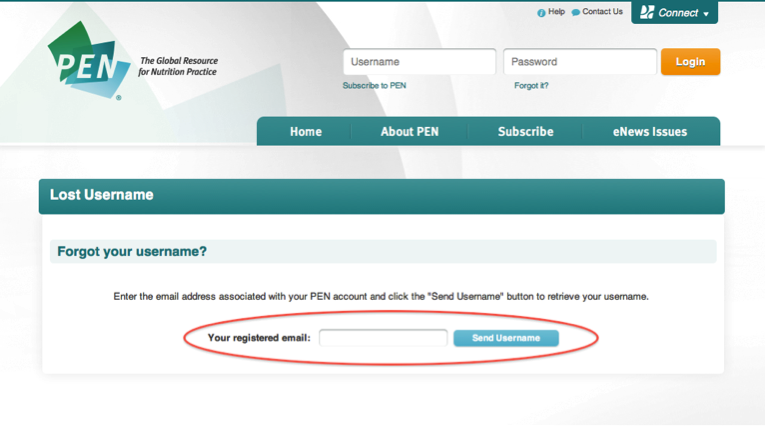 When you click on that link you will be asked to provide the email address that you used to create your PEN account. Enter your email and a message will be sent to you providing you with your PEN username. Once you have your PEN username, you can go back to point #1 to retrieve your password. Translating research into practice is an international issue challenging all health professions. This evidence to practice gap has been recognized for over 20 years and timeframes of 15-17 years for research to be implemented are not uncommon (1). Although there have been advances in technology which have closed some of this gap in recent years such as electronic submission of manuscripts to journals, decreased review times and early online view of accepted articles, the uptake of new evidence by practitioners. Glasziou & Haynes (2) coined the phrase ‘practice famine amid the evidence glut’ to describe this ongoing issue. The ICDA 2010 consensus statement on evidence based dietetic practice identifies important elements such as ‘asking questions, systematically finding and assessing the quality of evidence as well as combining that information with expertise or experiences and the client or community values to guide decision-making’. One of the key barriers is lack of awareness of new evidence. This is not surprising given that in 2013 there were over 20,000 new PubMed nutrition citations, 76 journals in the field of nutrition and dietetics (3) and many of our colleagues publish outside the field of dietetics in specialized medical journals. It is increasingly difficult to maintain currency in one area of practice, let alone have a good overview of all of the domains of dietetic practice. Dietitians need to be both aware of and savvy users of technology to advance their practice and become familiar with databases that contain synthesized information. 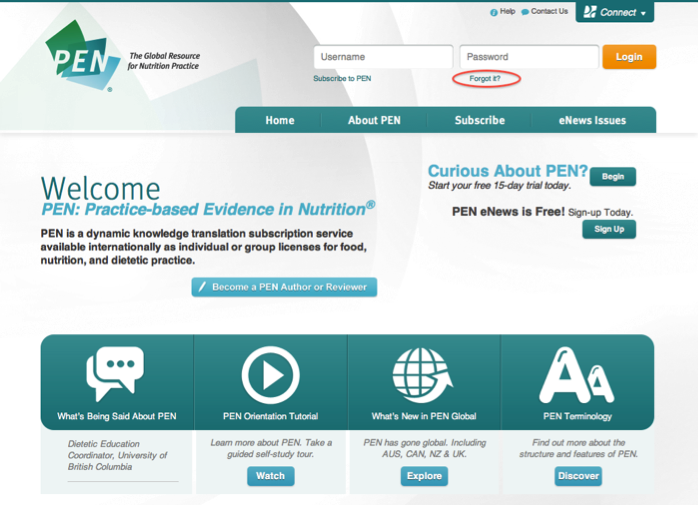 The PEN system has evidence-based, peer-reviewed answers to practice questions across the diverse domains of dietetic practice. The historic PEN partnership of Dietitians of Canada, The British Dietetic Association and Dietitians Association of Australia is helping to close the evidence to practice gap and advance dietetics internationally. Even when we are aware of new evidence and accept that our practice needs to change, there may be a number of recognized implementation barriers related to the healthcare system. These may relate to policy, interdisciplinary team roles and behaviours, financial constraints, patient beliefs and expectations to name a few. It is important to identify a comprehensive list of barriers and enablers by consulting with the interdisciplinary team and other key stakeholders to ensure all issues are identified and addressed. There are a number of frameworks for behavior change interventions that can be used to identify appropriate strategies based on the sources of behavior. An excellent example is the Behaviour Change Wheel developed by Mitchie et al (4) from a systematic review of existing frameworks. It consists of a hub of essential conditions (capability, opportunity and motivation) surrounded by nine intervention functions aimed at addressing deficits in one or more of these conditions and around this are seven categories of policy that may enable the interventions to take place. Improving the implementation of evidence based dietetics practice is a key priority for our profession and a challenge we must all embrace and strive to practice famine amid the evidence glut (2). 3) 2012 Journal Citation Reports® Science Edition (Thomson Reuters, 2012). A smart woman said to me once: "I don’t really know what to eat since every food has something bad about it”. Nutrition science has two problems that can create headaches for dietitians as we help guide the population through the nutrition jungle. Those problems are the iterative nature of science and the popularity of observational studies in nutrition research. 1) Science is an iterative process. This means that lots of research needs to be done to figure out the underlying facts. The media and public are very interested in the science of nutrition. During this iterative process, Journalists need to report news, and they are usually unaware that they are often reporting on one of the many iterations that help to shape our thinking about a topic. Unfortunately, the public ends up thinking we are frequently changing our minds. A recent study reported that contradictions in the media lead to confusion about what foods are best to eat, and the public begins doubting even the basic nutrition recommendations (1). Of most concern, this confusion plus a lack of confidence in nutrition recommendations was found to result in negative effects on health behaviours (1). Another problem we have as dietitians is that nutrition research is hard to do for several reasons. The difficulties include: a) participants may find it hard to make dietary changes for the long duration of some trials, b) food changes are difficult to blind the subjects to, c) the best control of dietary intake require the research team to purchase and prepare all of the participants food and beverages, and d) eating is a social activity and participants in such trials may have to forgo social eating events. Since randomized trials of dietary intake are difficult and expensive to implement, the process of our science usually begins with analyses from observational studies. Compared to designing and running a randomized trial, insight into many interesting nutrition questions can be obtained by analyzing data from observational studies. However, the quality of the answers from observational studies are not equal to those from randomized trials. Observational studies report associations between variables. If a significant association is found, e.g. between a specific food and an outcome such as heart disease or cancer, the research is likely to be accepted for publication. The media may then report that food “x” causes/prevents the disease. Studies that find no associations are not likely to be published and the media rarely report on studies that found no association unless it conflicts with commonly held nutrition guidelines in which case it is “news”. This effect of a higher likelihood of studies with significant findings being more likely to be published is called “publication bias”. The problem is the observational studies findings about food “x” might be wrong. It is possible that food “x” does not cause or prevent any problems at all. The findings could be due to people who eat more food “x” also smoke more or less, they may eat fewer or more vegetables, and they may exercise more or less. The actual cause or preventative factor is actually the smoking, the vegetable consumption, or the exercise, but we cannot tell from the information from the observational study. We call this incorrect identification of the important cause of the disease “confounding”. Observational research is at risk for something called “spurious correlations”. As shown in the Tyler Vigen website. The per capita consumption of cheese in the USA correlates with the number of people who died by becoming tangled in their bedsheets. Other examples of ludicrous correlations are noted. Tyler Vigen spoke in this video, highlighting that while two events can be related because there really is a relationship, many other statistical correlations can be observed that are not related at all, but look like they are simply due to coincidence. Further research is needed to determine whether there is a causal mechanism that can explain the relationships. If we are lucky, randomized controlled trials (RCTs) are conducted, and we get a better understanding of the true effect of the exposure. If the RCTs are well-designed and conducted, then the confounding variables (we may not ever know exactly what they are) are controlled for by the randomization step. Randomization controls for, and eliminates confounding, by evenly distributing the confounding variables (such as lifestyle choices) into the study arms. 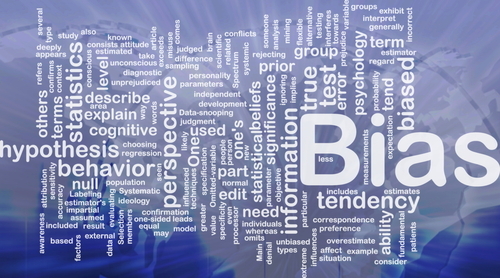 Blinding is another important tool used in RCTs. When subjects are blinded to which intervention they receive blinding helps prevent those randomized to the food or nutrient to report feeling better simply because of the placebo effect. Blinding of the investigators prevents the investigators from being influenced by this knowledge when judging the outcomes, or from letting the participants know whether they are in the intervention or control group, and thus influence the participants’ perception of their condition. We have been through this process of testing observational findings with RCTs for some nutrients. At first numerous observational studies reported that vitamin E, beta-carotene and antioxidants could prevent cardiovascular disease and cancer, and that lowering blood levels of homocysteine with folic acid could prevent cardiovascular disease. However, these claims were found to be incorrect when the randomized trials were conducted. Sometimes studies reported in the media are RCTs, but are conducted among animals or cells in a test-tube (in vitro) instead of among humans. Although animal and cell studies can be useful to gain some understanding of what may be happening at the biochemical level, animals and isolated cells differ from humans in terms of physiology, lifestyles, as well as the social aspects of eating. Therefore, animal and in vitro studies need to be considered lower level evidence for most nutrition questions and the results of these studies should be reported as perhaps interesting, but not totally applicable to humans. The above problems highlight the art of how dietitians bridge evidence to practice. In PEN® we describe the level of certainty of the evidence supporting the key practice points answering our nutrition questions with our evidence grading system. This helps you to be well informed about where the science’s iterations are at for your questions of interest. Conducting critical appraisals, considering the bias of the research, considering the health literacy of a client and translating the evidence in a client-centered way – just some of the challenges in reporting research, but also why I love science as it helps dietitians navigate through the jungly world of nutrition research. Nagler RH. Adverse outcomes associated with media exposure to contradictory nutrition messages. J Health Commun. 2014[cited 2014 May 21];19(1):24-40. Abstract available from http://www.ncbi.nlm.nih.gov/pubmed/24117281. National Nutrition Month 2014 Takes the Cake! Canada’s 2014 Nutrition Month theme focused on cooking skills. It was the ultimate in translating nutritional science and evidence into the daily lives of Canadians and onto their plates. The slogan Simply Cook and Enjoy! was embraced by many dietitians, food loving fans and tweeters alike. This was the third consecutive campaign I was commissioned to run for Dietitians of Canada (DC). What stood out for me, like no other campaign before, was early interest, enthusiasm and engagement by volunteer nutrition month spokespeople, DC regional representative teams and DC members, all whom are dietitians. I suppose I shouldn’t be surprised given those of us who love the topic of nutrition are food-lovers too! These were certainly relevant themes with tips and recipes for everyone with the aim to help families eat better and ultimately improve health. What helped elevate this year’s campaign, in addition to the wide array of resources developed (which were PEN-reviewed), was the launch of the popular new phone App Cookspiration – the go-to healthy cooking App to inspire consumers to cook. This fit with the cooking theme impeccably. The media metrics were impressive with over 50 million media impressions, which was almost double from the 2013 campaign and 202 media stories, 23% higher than the 2013 campaign. In addition, over 68,000 people downloaded Cookspiration throughout Nutrition Month. Apple touted it as one of its “Best New Apps” in its first week then promoted it in the “Food & Beverages” section during March. All of the App information is also available on www.cookspiration.com. Through my 27-year career as a dietitian meandering through clinical dietetics, business development, advocacy and now communications, I never would have predicted our world’s population plagued with multiple health-related epidemics. I realize more clearly the importance of the Keep It Simple Sweetie principle when helping consumers. This year’s cooking theme certainly added the exclamation point that benefits consumers and their families on many levels. As dietitians, we can help translate the breadth of science onto consumer’s plates. While Nutrition Month is only 31 days, let’s keep this energy vibrant and continue to work with consumers to get back into the kitchen to “Simply Cook and Enjoy”. And, if you haven’t already, download Cookspiration, won’t you? And tell others to help inspire them to cook too! In addition to participating in Dietitians of Canada's (DC) official 2014 Nutrition Month campaign "Simply Cook and Enjoy" with the provision of healthy recipes and messaging in newspaper articles, TV and radio interviews, we tweeted up a storm. Throughout March, a group of Nutrition Month spokespeople steadily tweeted gorgeous, appetizing photos of what they were eating for meals and snacks. This was not an 'official' part of the campaign per se but became a new twist that added an extra dimension of fun and health-promoting ideas for consumers while building camaraderie amongst the spokesperson team, having fun and raising the dietitian's profiles (a nice form of "payment" in a voluntary campaign effort). A picture being worth a thousand words, these shared photos were retweeted and demonstrated to consumers that healthy eating should look and taste great too. This was a beautiful support to the popular Cookspiration App introduced by DC during the campaign. Inviting Canadians back into the kitchen encourages playing an active role in where their food ingredients are sourced and how they are prepared. It provides an opportunity to involve the whole family in meal preparation and equip kids with the critical life skill of cooking ability. Eating more meals at home typically means a lower intake of saturated fat, sugar and salt from processed fast food or convenience choices on the run. It was a pleasure to work with a passionate group of like-minded colleagues on this national campaign. Social media is an umbrella term for technology that “enables people with no specialized technical knowledge to create their own websites to self-publish, create and upload audio and video files, share photos and information, and complete other tasks ex: marketing” (1). It is a communications channel providing practitioners with more ways to communicate with and engage peers and the public (2). Social media is reportedly the number one reason people all over the world use the internet (3). This popularity is likely fuelled by the availability of mobile technology (3). 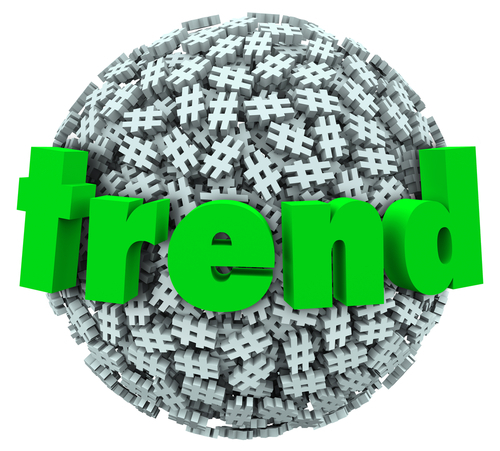 Social media has evolved and expanded beyond Facebook, Twitter and LinkedIn. The Conversation Prism is a visual map of the social media landscape, highlighting the ways that people use social media, and the various social media available to the world. Social media is not new! It has been around for 10 years, as depictured by this infographic. It has clearly changed how the world communicates. Though there are many social media platforms, Facebook has the highest online use. One survey of American adults found that, as of Sept 2013, 71% of online adults were using Facebook, followed by Linked in (22%), Pinterest (21%), Twitter (18%) and Instagram (17%) (4). The widespread use of social media spanned all adult age sub-cohorts (4). What does this mean for dietitians? Social media can be used to help with knowledge transfer of new evidence to inform dietetic practice. Dietitians can use social media to share credible nutrition information and to have a voice in emerging controversy. In this way, dietitians can be both social media consumers and producers. There are tremendous communication opportunities for dietitians to retain their authority as food and nutrition experts – social media is just another channel. Socialbrite. Social media glossary. The Top 100 Words and Phrases in the Social Media Dictionary. Available from http://www.socialbrite.org/sharing-center/glossary/ [accessed April 8 2014]. Canadians gained confidence in the kitchen! Every March, Dietitians of Canada celebrates Nutrition Month with dietitians from coast to coast celebrating healthy eating. The 2014 Nutrition Month campaign “Simply Cook & Enjoy!” allowed dietitians to communicate with Canadians about healthy eating through cooking. 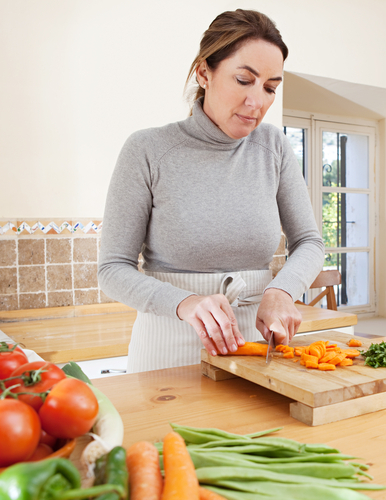 Dietitians helped Canadians get back into the kitchen to prepare nutritious meals for themselves and their families. The hands-on theme allowed myself and colleagues to engage with the people in our communities. Every person, workplace, community centre, and support group that I brought the campaign to thoroughly enjoyed it and they were keen to learn more. Several media outlets picked up the campaign in the province of New Brunswick – newspapers, radio and TV - all wanting to know how New Brunswickers could get in the kitchen to create healthy, tasty meals in minutes. The theme allowed for very interactive and attractive media engagements. Many people agree that the kitchen is where healthy eating happens – where learning comes alive. I was able to connect with local schools (they loved the Cookspiration App! ), community centres, recreation facilities, and Settlement Services at my local YMCA to teach immigrants about Canadian cuisine and to share delicious recipes. This theme allowed the community kitchens in my area to come together and it brought awareness to those that offer cooking classes. I had the opportunity to work with a producer of a local community television show and a local community kitchen to do an episode of Simply Zen. We had a family join us and they shared some of their tips that help to bring their family together to prepare and share meals. This family agreed that mealtime needs to be a priority and they look forward to sharing meals together with good conversation daily. Simply cooking and enjoying invites conversations about family favourites, and fond memories of childhood, preparing and sharing meals together with family and friends. Cooking brings people together, and allows people to lead healthier lifestyles. Cooking and teaching food skills allow dietitians to guide Canadians through the nutrition and wellness web – it is where we see the science of nutrition be transformed into edible education! As a dietitian, showing Canadians that cooking nutritious meals can be fun, realistic (and not time-consuming), flavourful, and that it is an important life skill was a very rewarding experience. This theme is applicable to people of all ages. Nutrition Month 2014 hit the spot! 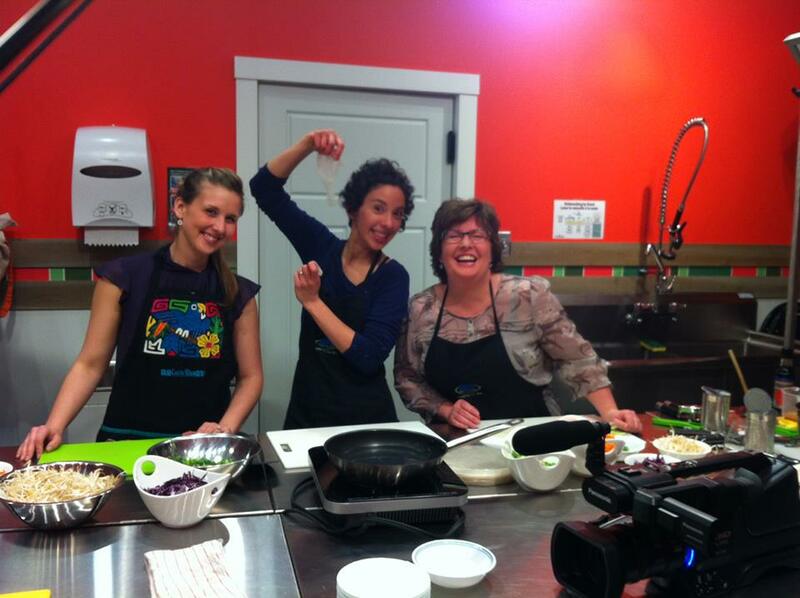 From coast to coast, dietitians brought Canadians back into the kitchen with confidence. We showed how approachable dietitians are, we inspired our communities, and shared our love of food. If we can continue to promote the importance of spending time in the kitchen during all months of the year, we will indeed have healthier Canadians. I think we all have an appetite for that! The PEN® Global Team Just Got Bigger! The PEN Global team is delighted to share that we have contracted two new international evidence analysts for the upcoming year. Both bring strong practice, critical appraisal and writing skills to the team. 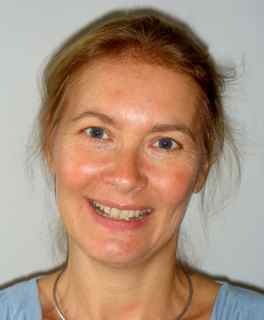 Judy is an RD (UK) and Registered Nutritionist, has a PhD (epidemiology) and is a Fellow of the Higher Education Academy. She has worked as a Dietitian, Research Dietitian and held various positions at the Kings College, University of London. Judy also works part-time for the BDA as their Research Officer. In this role she works closely with specialty networks and BDA members to encourage both research and evidence-based approaches to practice. Gail is an APD (Accredited Practising Dietitian) in Australia and is registered as a non-practising Pharmacist. She has a Grad Dip in Nutrition and Dietetics and Health Promotion and a Masters in Public Health.. She is currently working as a freelance writer and editor and is the Principal of ‘Scientifically Said Communications’. She is also studying to be an accredited editor. 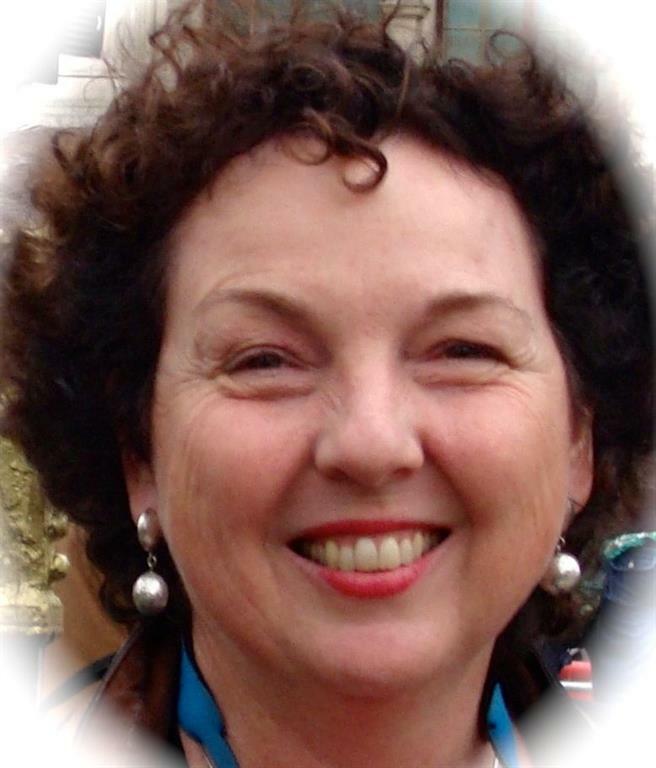 Gail has extensive experience as a Dietitian (and Pharmacist) throughout Australia. Her work included adult and paediatric clinical dietetecis, community and public health nutrition and private practice. She worked as an RD in the UK 1984-6). She recently worked as a dietetic research assistant at University of Queensland (UK) and has worked as an senior lecturer(Pharmacy) at UQ and in Nutrition at UQ and Queensland University of Technology (QUT). Both Judy and Gail are already hard at work updating your practice questions with new best evidence. Click YES to continue to receive PEN® eNews! In the past month, you should have received an email from the PEN® team asking you to click YES to continue to receive PEN® eNews. This email was sent because of new Canadian anti-spam legislation, which specifies that we must formally obtain your consent to contact you. While many of our subscribers do not live in Canada, because the PEN® system is administered from Canada, we must comply with this new legislation. Evidence-based practice is a fundamental skill for dietetic practice. We have therefore made the PEN® eNews newsletter available at no charge. To date, we have received over 7900 responses from dietitians around the world who have opted into continuing to receive PEN® eNews. To continue to receive communications from PEN® including PEN® eNews, please open this link: http://www.pennutrition.com/casl and check the “I AGREE” box. How do I…use My PEN Favourites? Two problems with nutrition science - but I still love it!